Jim Obazee sacked by Pres. Buhari. 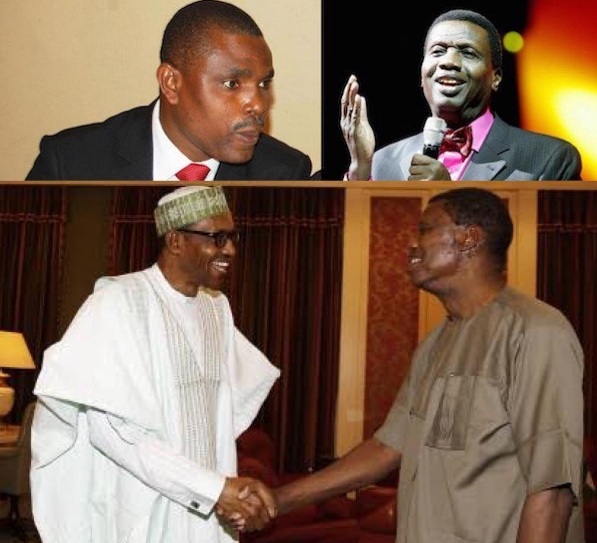 His sack comes about 48 hours after implementation of his agency’s law led to the exit of Nigeria’s most influential Christian cleric, Enoch Adeboye. The head of the Financial Reporting Council of Nigeria, FRC, Jim Obazee, has been sacked by Pres. Buhari. His sack comes about 48 hours after implementation of his agency’s law led to the exit of Nigeria’s most influential Christian cleric, Enoch Adeboye. Adeboye resigned as the G.O of RCCG in Nigeria on Saturday, but retained oversight of the global arm of the church. The FRC rule is established by the Financial Reporting Council, Nigeria, Act No 6, 2011. Accordingly, a founder or leader should not take on too many responsibilities in the organisation or have an indefinite term in the running of the organisation, and is expected to not stay in office for more than 20 years. On the day Mr. Adeboye’s exit was announced by the church, the cleric criticised the meddling of government in church matters. “The government has been showing increasing interest in church affairs. Unfortunately, for us in RCCG, it might not be very helpful,” he said. Pres. Buhari announced the sack of the FRC boss in a statement by his spokesperson, Garba Shehu. Mr. Obazee is to be replaced by Daniel Asapokhai while a new board, headed by Adedotun Sulaiman was also constituted for the agency. No official reason was given for his sack.